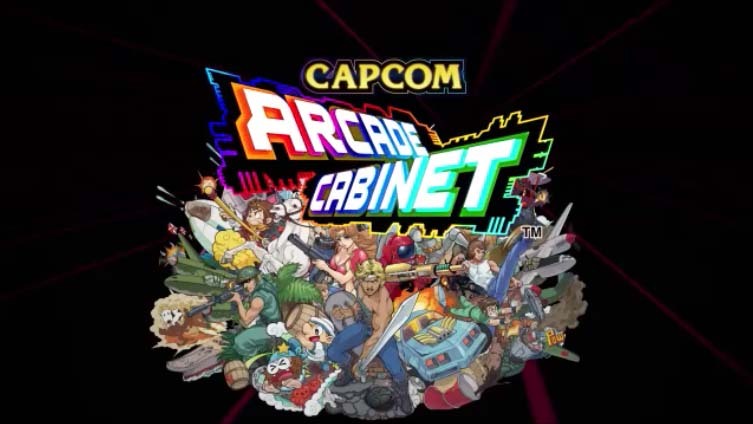 Capcom Arcade Cabinet is exactly what it sounds like. A collection of retro arcade games from Capcom that was released in mid to late 1980’s. You can buy many of the games separate for PC, Xbox and PlayStation or in three game bundle packs. But, if you are a huge fan of arcade games made by Capcom then you can buy them all at once in one game collection. 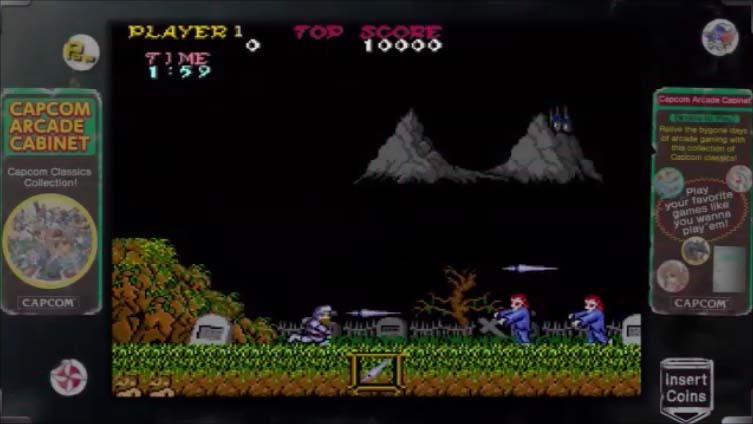 Many of the big games created by Capcom for Arcades are here like 1943 The Battle of Midway, Gun Smoke and Ghost ’n’ Goblins there are 17 games in all. The full list is below, some are unlockable by certain criteria but most are purchasable. The countless quarters we have spent on Commando, 1943 The Battle of Midway and Ghost ‘n’ Goblins easily covers the cost of buying this collection several times over. There are 14 games that you end up buying, Black Tiger is free and there are two other games as part of the collection that you unlock. That is how you get to 17 games over all. We did not realize that Capcom made so many great arcade games in such a short period of time. All 17 games we originally released in 1984, 1985, 1986 and 1987. 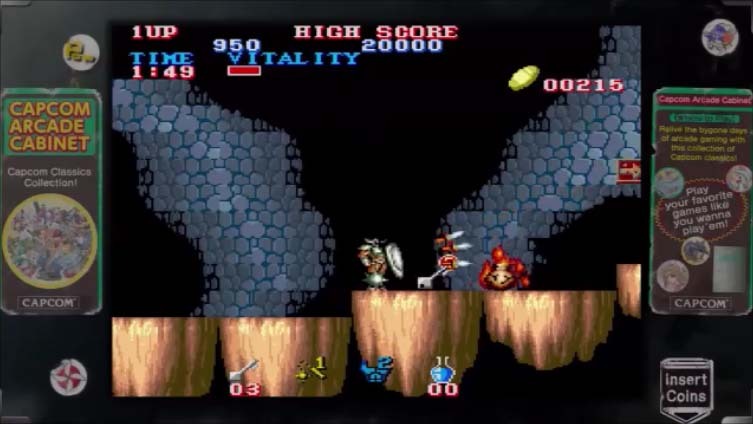 Each game has the old school challenge level just like in arcades or in some cases the NES versions. That means they really difficult to get all the way through but in Capcom Arcade Cabinet there is also a much easier mode where you can finally get through the game and see how it ends…finally! How long it takes to get through all of the games in Capcom Arcade Cabinet varies greatly. We estimate it to be around 25 plus hours. Add in more if you want to try in the original arcade difficulty levels. Replay however is as high as it can be for a video game. You will just pick up and play a game from start to finish several times a year plus you can save at any time. Some the games are single player like Ghosts ‘n’ Goblins and Gun Smoke but there are several multiplayer games like 1942, 1943 The Battle of Midway and Legendary Wings. This adds a little more to the replay factor. All types of gamers will enjoy playing this collection. Capcom Arcade Cabinet is worth paying $25.00 for and anything under $10.00 is a MUST BUY PRICE!